NSW will take the lead in Australia in introducing laws to protect traditional Aboriginal languages under a Baird government plan to preserve and revive the critically-endangered tongues. The government will develop the bill in consultation with the community and Aboriginal language experts, Aboriginal Affairs Minister Leslie Williams will announce on Wednesday. It is expected to be introduced in state Parliament in the second half of 2017. Mrs Williams said the bill would recognise Indigenous Australians as the owners of their traditional languages and give “higher priority” to government efforts to support their revival and preservation. “Aboriginal people have told us language is indivisible from their identity and we have listened – the cultural inheritance of our Aboriginal communities is too precious to be lost,” Mrs Williams said. The Baird government has previously offered grants of up to $30,000 to community organisations to support the revival of Aboriginal languages, including for an app to help teach children about Indigenous languages and cultures. Aboriginal languages also became a new HSC subject this year after a decade of planning. However, the course does not have an external exam and does not count in the calculation of a student’s Australian Tertiary Admission Rank (ATAR). The state government said evidence showed Aboriginal children who learnt a language performed better at school, and language renewal strengthened local communities. It is estimated there were 35 Aboriginal languages and about 100 dialects spoken in NSW in 1788. 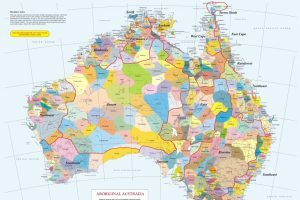 Government policy, including the removal of Aboriginal children from their families, contributed substantially to the erosion of those languages. Aboriginal languages are now taught in schools in five areas across the state, including Dubbo, Lightning Ridge and Wilcannia. Two Aboriginal languages – Gamilaraay and Wiradjuri – are taught at universities. Mrs Williams said 5100 students were now learning one of the 19 Aboriginal languages being offered at 60 schools, up from 3,500 students at the end of last year. The Baird government has come under fire this year over a range of policies hitting Indigenous communities hardest, including harsh new bail laws. Figures from the Bureau of Crime Statistics and Research (BOCSAR), released in October, revealed a 40 per cent rise in the rate of Indigenous imprisonment between 2001 and 2015, due in part to an increase in the rates of bail refusal. At the same time, Indigenous involvement in violent crime and property crime declined by 37 per cent and 32 per cent respectively.